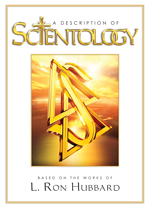 The “S” stands for Scientology. The lower triangle is called the A-R-C Triangle (pronounced by the letters A, R, C); A for Affinity, R for Reality and C for Communication. The first corner of the triangle is affinity, which is the degree of liking or affection for someone or something. Reality is the second corner and is, fundamentally, agreement. The third corner is communication, defined as the interchange of ideas between two people. All three of these are interrelated. Without a degree of liking and some basis of agreement, there is no communication. Without communication and some basis for affinity, or emotional response, there can be no reality. Without some basis for agreement and communication, there can be no affinity. And when one corner of this triangle is improved, the other two corners are likewise improved. These three interdependent factors combined add up to Understanding and are expressed as a triangle. 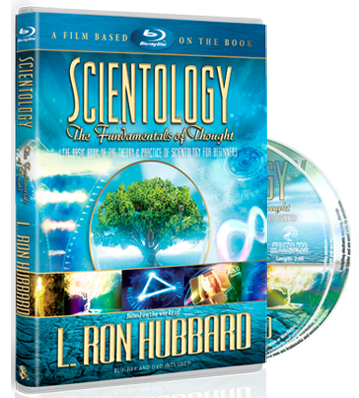 ARC is a fundamental principle of the Scientology religion. The upper triangle is the K-R-C Triangle (pronounced by the letters K, R, C); K for Knowledge, R for Responsibility and C for Control. Like the points of the A-R-C Triangle, these three elements are interrelated. When one corner of the KRC Triangle is raised, the other two also rise.